With offices in 25 counties in Oklahoma, Red Rock Behavioral Health Service is one of the best mental health and substance use treatment facilities in Oklahoma. 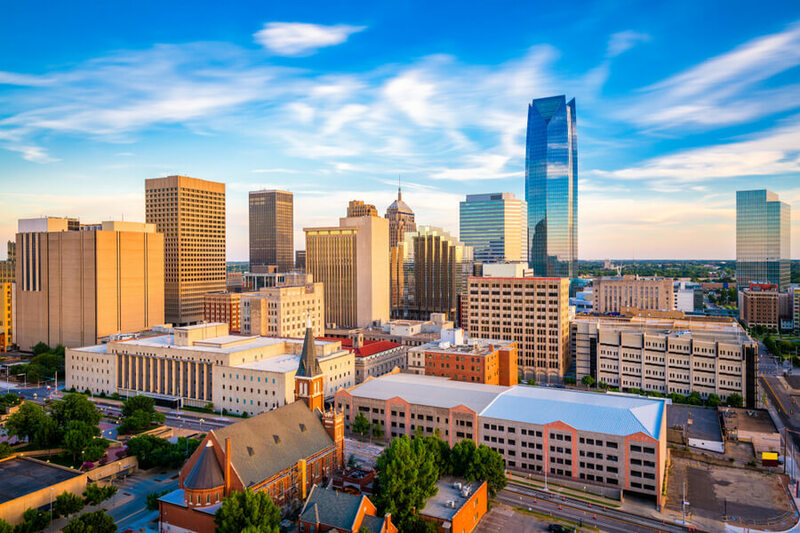 Red Rock Behavioral Health Service founded in 1974 with the main office in Oklahoma City is one of the most reputable organizations in Oklahoma City, Oklahoma. The facility is a division of Oklahoma Mental Health Council, and they provide outpatient and crisis stabilization services to adolescents and adults who are struggling with any form of addiction, substance use, and mental health and co-occurring disorder. Since its establishment, Red Rock Behavioral Health Services has grown to provide care to persons with mental and addiction disorders. Functioning for over 44 years, Red Rock Behavioral Health Service is a not-for-profit agency that started with a grass-roots group of individuals and a budget of $50,000. Red Rock applied and became a federally funded Community Mental Health Center, and over the decades, Red Rock Behavioral Health Service has evolved and grown in very magnificent ways and currently provides behavioral health services to over 14,000 patients each year across 25 counties. Upon enrollment, clients are screened and assessed for services. Red Rock treats clients with a primary diagnosis of addiction and substance abuse mental health disorders and co-occurring disorders. Clients are assigned to a case manager and/or therapist, and an individualized treatment plan is completed with the clients when the assessment process is completed. Services may include individual, group, or rehabilitative sessions. Evidence-based care such as cognitive behavioral therapy (CBT) or Motivational Interviewing (MI) may be the treatment model(s) used to assist the client toward recovery. Rehabilitative services may include addiction studies, developing leisure time activities, building self-esteem, or managing stress. Often Red Rock Behavioral Health staff recommends attendance at community self-help groups such as AA/NA meetings to clients. Intensive Outpatient Programs are available for persons who can devote 9-12 hours a week to services. Red Rock also offers child and adolescents services to individuals under the age of 17. Permission from parent or guardian is required for services in most cases. After screening and assessment, children and families are assigned a primary practitioner, and a treatment plan is developed with the child and family member(s). Red Rock has a robust Systems of Care program in which wraparound services and a community team support the child and family in services. Red Rock recommends and requires that the parent or guardian is involved in family group meetings throughout services. and peer and family support specialists. Red Rock Behavioral Health Services has three adult crisis stabilization units for clients with suicidal thoughts or individuals experiencing drug-induced hallucinations. In addition to the adult units, Red Rock has a crisis stabilization unit in Oklahoma City for adolescents with serious emotional disturbances. Red Rock is a trauma-informed care facility and rehabilitation center that is accessible and affordable to almost everyone. Red Rock accepts Medicaid and many private insurances as well as is funded for specific programs and/or client criteria by the Oklahoma Department of Mental Health and Substance Abuse Services (ODMHSAS). All fees collected are for the support of staff, program development, as well as the expansion of Red Rock programs since Red Rock is a not for profit agency. Red Rock Behavioral Health Service is accredited by the Commission on Accreditation of Rehabilitation Facilities (CARF) and credentialed as a Community Mental Health Center through the Department of Mental Health and Substance Abuse Services (ODMHSAS). Founded in 1974, Red Rock Behavioral Health Services has been operating for over 45 years providing clients and the community with quality and professional evidence-based services. Red Rock serves 25 counties throughout Oklahoma. Verna Foust brings to the table 30 years of experience from the behavioral health field. Since her leadership at Red Rock began, the facility has grown to over 600 staff and 25 locations throughout central and western Oklahoma. The CFO of Red Rock with years of service in the financial world and leadership experience brings exemplary decision in financial matters to Red Rock. Steve Norwood supervises Red Rock’s special programs including; prevention services, crisis stabilization services, housing services, residential treatment for women and children, HIV/AIDS testing services, and IT. Steve has years of experience in the behavioral health field with expertise in multiple areas including inpatient and outpatient treatment settings. Dr. Ellison supervises outpatient services at Red Rock including adult, child and adolescent services. Dr. Ellison has many years of experience in outpatient service settings and has experience working in the criminal justice system as well. Dr. Ellison is also a surveyor for CARF and provides insight into the development of programs, policies, and practices within Red Rock.